The eighth and final round of the 2017 Nitro Lubricants, AMA Championship Snow Bike Series happened at snowy Bogus Basin Ski Resort, high above Boise, Idaho. The event was held at the upper ski lodge at 6,000 feet, so there was still plenty of snow, and race day greeted racers with several inches of new white stuff and foggy, although relatively warm conditions. This was only the second motorized event ever held in the 64 year history of the resort, and a number of boisterous skiers joined the regular crowd to cheer the racers on. Three pros showed up at Boise with a mathematical shot at winning the men’s title: Minnesota’s Cody Thomsen (YAM, Camso), Idaho’s Jimmy Jarrett (KTM, Timbersled) and Montana’s Keaton Ward (KTM, Timbersled). In following with current trend’s, last year’s 3-mile natural course was shortened to less than half a mile and banked turns and jumps were added, resulting in a track with times in the low 40-second range which provided a perfect stage for the final title showdown. After riding smart and fast in their heats and semis, the trio of Thomsen, Jarrett and Ward all went to the line for the A Main. They were joined by upcoming fast guy Brady Lasher (KAW, Timbersled) who designed the track, Oregon’s Darrin Mees (KTM, CMX), endurocross star Cory Graffunder (HUS, MotoTrax) and two up and coming fast guys, Idaho riders Kurt Brady (YAM, Camso) and Dean Hunt (KTM, Timbersled), both of whom are finding gobs more speed every time they race A huge upset nearly happened when both Jarrett and Ward crashed hard on the first lap, putting Thomsen (who barely avoided the carnage) in a solid lead, with Mees right behind. Both of the downed riders got up and got going again about half a lap down, but both are seasoned and smart racers and quickly got back up to speed, although Ward was hampered a bit by broken, flapping plastic on his KTM. Up front, Thomsen and Mees staged an epic, duel, with Thomsen winning by several seconds with Mees second. Graffunder rode his usual calm, smart race to take third, and Jarrett charged like the talented, get-it-done rider that he is to finish a close fourth and clench his second National level title in as many years, with Ward taking sixth, and new-rider Hunt showing great promise with a close 5th. The women’s class once again had a solid turnout of six determined women, several of which were brand new to snow bikes. Missing was South Dakota’s Shayna Lier who had already sewed up the Women’s Championship title at round 7, but last year’s champ, Idaho’s Shayla Fulfer rode fast and smooth all day to go 1-1 in her motos, with her sister Kapri Maupin Fulfer taking second with consistent 3-3 scores. Former women’s pro MXer April Zastrow showed up with a new snow bike and zero experience riding it and still managed for go 2-5 and take fourth overall, trading finishes with Montana’s up and coming Markie Hoffman. The Senior, 40+ class showcased a great duel between Idaho’s Zack Evans (KTM, Timbersled) and newly-crowned Senior AMA Champion, Montana’s Jason Weis. And the Kids Ripper class was a hoot, with Ky Gentry and Ryan Evans staging a handlebar to handlebar two-moto war on identical Kawasaki 110’s with Ripper snow bike kits on them that had the crowd going nuts. Planning is well underway for the 2018 season and the AMA has deepened their commitment to this awesome sport by designating next year’s series as a fully-recognized AMA National Championship Series which will add additional gravitas and class to an already big deal series next year. 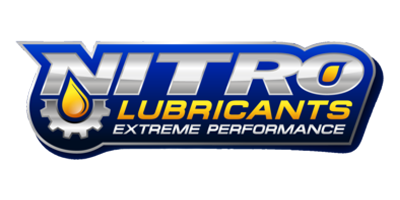 The series promoters wish to extent a hearty thank you to our 2017 partners: Nitro Lubricants, Moto Trax, Camso, Arctiva Clothing, Fox Suspension, Snomoto.com, Timbersled, CMX, Cyclops, Pro-Moto Billet, Snow Tech MX, HMK, and Excel Fabrication and Fresh Moto who created the beautiful custom trophies, and local partners were: Edge Performance in Ontario and Carl’s Cycle in Boise who provided demo rides on the new 2018 Timbersled.